What is the Divine Council in Biblical Literature? The following is an excerpt on The Divine Council by Michael S. Heiser, from the Lexham Bible Dictionary. Divine Council A term used by Hebrew Bible scholars for the heavenly host, the assembly of divine beings who administer the affairs of the cosmos under Yahweh, the God of Israel. All ancient Mediterranean cultures had some conception of a divine council, including Israel]. However, Israelite religion’s divine council was distinct. The structure of the Israelite divine council has implications for understanding God and the unseen world in biblical theology. Most Bible translations show that Israel believed in an assembly of heavenly host under the authority of Yahweh. Modern translations do not show clearly that this assembly is similar to pantheons of ancient Near Eastern cultures. A close reading of the Hebrew text and comparisons with other ancient non-biblical texts from Canaan demonstrate this similarity (Mullen, Handy, “Host”; Cross “Epic”; Smith “Early”; Smith, “Origin”; Korpel, Rift in the Clouds). The clearest example is the cuneiform literature from Ras Shamra (Ugarit), discovered in the late 1920s. As a Semitic language, Ugaritic is closely related to biblical Hebrew—it shares vocabulary, as well as morphological and syntactical features. Many of the Ugaritic tablets describe a council of gods in words and phrases that are conceptually and linguistically parallel to the Hebrew Bible. The Ugaritic divine council was led by El, the same word used in the Hebrew Bible for gods and as the proper name for the God of Israel (e.g., Isa 40:18; 43:12). References to the “council of El” include: pḫr ʾilm (assembly “of El” or “of the gods”; KTU 1.47:29, 1.118:28, 1.148:9); pḫr bn ʾilm (assembly “of the sons of El” or “of the gods”; KTU 1.4.III:14); mpḫrt bn ʾilm (“assembly of the sons of El”; KTU 1.65:3; compare 1.40:25, 42); and ʿdt ʾilm (assembly “of El” or “of the gods”; KTU 1.15.II:7, 11). The Hebrew Bible has phrases that explicitly parallel these Ugaritic expressions (Parker, “Sons of [the] God[s]”; Cooke, “The Sons of [the] God[s]”). Psalm 82:1 is perhaps the best example. It calls the council (עֲדַת־אֵל, adath-el) and describes gods under the authority of Israel’s God: “God (אֱלֹהִים, elohim) stands in the council of El/the divine council (עֲדַת־אֵל, adath-el); among the gods (אֱלֹהִים, elohim) he passes judgment.” The second occurrence of אֱלֹהִים (elohim) must be semantically plural due to the preposition “in the midst of.” This does not refer to the Trinity—Psalm 82 goes on to describe how Israel’s God accuses the other אֱלֹהִים (elohim) of corruption and sentences them to die “like humankind.” This plurality does not refer to human beings. Psalm 89:5–7 places the God of Israel “in the assembly of the holy ones” (בִּקְהַל קְדֹשִׁים, biqhal qedoshim) and then asks “For who in the clouds (בַּשַּׁחַק, bashshachaq) can be compared to Yahweh? Who is like Yahweh among the sons of God (בְּנֵי אֵלִים, beney elim), a god greatly feared in the council of the holy ones (בְּסוֹד־קְדֹשִׁים, besod-qedoshim)?” Psalm 29:1 commands the same sons of God (בְּנֵי אֵלִים, beney elim) to praise Yahweh and give him due obeisance. Divine “sons of God” (בְּנֵי אֵלִים, beney elim, בְּנֵי הָאֱלֹהִים, beney ha'elohim; or בְּנֵי אֱלֹהִים, beney elohim) appear in other biblical texts (Gen 6:2, 4; Job 1:6; 2:1; 38:7; and Deut 32:8–9, 43 (Septuagint; Qumran); Heiser, “Deuteronomy 32:8”). At Ugarit, the council of El and its gods met on a mountain or lush garden (Clifford, The Cosmic Mountain). These descriptions are actually the same place. The abode of El was at the “source of the two rivers” (mbk nhrm) in the “midst of the fountains of the double-deep” (qrb ʾapq thmtm). El and his “assembled congregation” (pḫr mʿd) met to issue divine decrees from the “tents of El” (ḏd ʾil) and his “tent shrine” (qrš; KTU 1.1.III:23; 1.2.III:5; 1.3.V:20–21; 1.4.IV:22–23; 1.6.I:34–35; 1.17.VI:48). This description of gods living and meeting in “tents” (ʾahlm) or “tabernacles” (mšknt) is common at Ugarit (KTU 1.15.3.18–19). The Ugaritic god Baal, the deity who oversaw the council for El, held meetings on Mount Ṣpn. Baal’s palace had “paved bricks” (lbnt) that made Baal’s house “a house of the clearness of lapis lazuli” (bht ṭhrm ʾiqnʾum). The Hebrew Bible uses similar place descriptions. The most obvious are the tabernacle (מִשְׁכַּן, mishkan) and Tent of Meeting (אֹהֶל מוֹעֵד, ohel mo'ed), both common in the Old Testament narrative. Yahweh also dwelled on mountains (Sinai or Zion; e.g., Exod 34:26; 1 Kgs 8:10). In Psalm 48:3 the Jerusalem temple is said to be located in the “heights of the north” (יַרְכְּתֵי צָפוֹן, yarkethey tsaphon). Mount Zion is the “mount of assembly” (הַר־מוֹעֵד, har-mo'ed), again located in yarketê ṣpn (יַרְכְּתֵי צָפוֹן, yarkethey tsaphon; Isa 14:13). Additionally, Zion is described as a watery habitation (Isa 33:20–22; Ezek 47:1–12; Zech 14:8; Joel 3:18). Ezekiel 28:13–16 equates the “holy mountain of God” (הַר קֹדֶשׁ אֱלֹהִים, har qodesh elohim) with Eden, the “garden of God” (גַּן־אֱלֹהִים, gan-elohim). Eden appears in Ezek 28:2 as the “seat of the gods” (מוֹשַׁב אֱלֹהִים, moshav elohim). The description of Eden in Gen 2:6–15 refers to the “ground flow” that “watered the entire face of the earth.” At Sinai, Moses and others saw the seated God of Israel, under whose feet was a “pavement of sapphire stone” (לִבְנַת הַסַּפִּיר, livnath hassappir; Exod 24:9–10). The divine council at Ugarit may have had four tiers, but the evidence is not conclusive (Smith, Origins, 41–53). A three-tiered understanding may be better. The top tier consisted of El and his wife Athirat (Asherah). The second tier was the domain of their royal family (“sons of El”; “princes”). One member of this second tier, Baal, served as the co-regent of El. Despite being under El’s authority, he was called “most high” (Wyatt, “Titles”). A third tier was for “craftsman deities,” while the fourth and lowest tier was reserved for the messengers (mlʾkm), essentially servants or staff (Cho, Lesser Deities). There is solid evidence in the Hebrew Bible for a three-tiered council. In the divine council of Israelite religion, Yahweh was the supreme authority over a divine bureaucracy that included a second tier of lesser אֱלֹהִים (elohim), also called the “sons of God” (בְּנֵי אֵלִים, beney elim, בְּנֵי הָאֱלֹהִים, beney ha'elohim, or בְּנֵי אֱלֹהִים, beney elohim) or “sons of the Most High” (בְּנֵי עֶלְיוֹן, beney elyon). It may be significant that these “sons of God” are never clearly referred to as angels (מַלְאָכִים, mal'akhim) in the Hebrew Bible, as that word denoted the lowest tier of the Canaanite council, and thus a third tier in the Israelite version. Still, mlʾkm at Ugarit were considered gods, despite their subordinate role. It is possible that מַלְאָכִים (mal'akhim) are referred to as אֱלֹהִים (elohim) in the Hebrew Bible. In Israel’s divine council, the highest tier is different from the Canaanites’ conception. Instead of El and Baal, his vice-regent, Yahweh occupied both slots in a sort of binitarian godhead (Heiser, “Divine Council”). Yahweh is described in the Hebrew Bible by means of titles and abilities that both El and Baal have in Canaanite literature—these two were conceptually fused in Yahweh. This literary and theological device shows Yahweh superior to the two main divine authority figures in wider Canaanite religion. The way Yahweh filled the positions both of supreme ruler and vice-regent is also shown by His occasional visible appearances (Hamori “When”; Hamori, “Embodiment”; Sommer, The Bodies of God). For example, the Angel of Yahweh is sometimes indistinguishable from Yahweh (e.g., Exod 3:1–14). The Angel is said to have Yahweh’s “Name” in him (Exod 23:20–23). Scholars have long noted the presence of a “name theology” in the Hebrew Bible (Mettinger “Dethronement”; Huffmon, “Name”) where the name is another way of referring to Yahweh Himself. Thus, Yahweh was in the Angel, and yet Yahweh and the Angel could be simultaneously present (Judg 6). Both the God of Israel and the Angel are said to have brought Israel out of Egypt (Judg 2:1–3; 1 Sam 8:8; Micah 6:4)—an observation that makes Deut 4:37 an important consideration for binitarianism, since that verse tells us the “Presence” of Yahweh was responsible for the deliverance from Egypt. The divine presence must be understood as Yahweh Himself, His “essence” as it were. The angel—as co-regent—fills Baal’s role as El’s warrior. It is the angel who led Israel to the promised land as the captain of the Lord’s host, “sword drawn in his hand” (חַרְבּוֹ שְׁלוּפָה בְּיָדוֹ, charbo sheluphah beyado)—a precise description found in only two other places in the Hebrew Bible, both of which describe the angel of Yahweh (Num 22:23; 1 Chr 21:16). The result is that—while orthodox Yahwism could not accommodate cosmic rule being shared by two separate and distinct deities (El and Baal)—it could tolerate Yahweh in two personages. That the angel had the presence/name/essence of Yahweh in him, but was a distinct personage, meant he “was but wasn’t” Yahweh. The Israelite binitarian godhead is also indicated by the “rider on the clouds” motif in the Hebrew Bible. This epithet was a well-known title for Baal (Herrmann, “Rider upon the Clouds”). For orthodox Yahwists, Baal’s attributes were taken over by Yahweh, their rightful bearer. The Hebrew Bible consistently refers to Yahweh as the one who rides the clouds (Psa 68:4, Psa 68:5 in Hebrew; 68:33, Psa 68:34 in Hebrew; 104:3; Deut 33:26; Isa 19:1) with one exception: the “son of man” in Dan 7:13. This character in Dan 7 is distinct from the enthroned deity, the ancient of days, who was expected to bear this Yahweh-title of the Hebrew Bible. This passage, along with the “man of war” (the angel) formed the basis for Judaism’s doctrine of two powers in heaven, a point of orthodoxy until the second century ad (Segal, Two Powers in Heaven). The Hebrew Bible also informs us that at least some Israelites considered Yahweh to have had a divine wife, Asherah (2 Kgs 21:1–7; 2 Chr 15:16). The archaeological picture echoes this belief, most notably in the finds at Kuntillet ʿAjrud and Khirbet el-Qom, where inscriptions include prayers to Yahweh and “his Asherah” (Dever). It should be noted, though, that “his Asherah” may refer to a shrine and not the goddess (Hess, “Yahweh and his Asherah?”). It cannot be demonstrated that the theology of the prophets and biblical writers contained this idea, or that it was permissible. Other figures and motifs include “wisdom and the word” (Ringgren, Word and Wisdom). In the Ugaritic council, members would sometimes challenge each other during their deliberations (Handy, “Authorization”). However, there are also passages in the Ugaritic material that nearly equate El with the entire council (see Mullen)—the decrees of the council are the decrees of El. The Israelite conception of the divine council also included deliberation and opposition, yet the will of God was ultimately done. Yahweh decided that Ahab should die, but allows discussion about how he should die. After some discussion, one spirit steps forward with a proposal. Yahweh accepts it and says that it will succeed. Nothing in the passage suggests that Yahweh learns anything here, or that He didn’t know what the suggestion would be. Nor does it support the idea that Yahweh predestinated the suggestion. The narrative only demonstrates that Yahweh allowed council members to choose how to carry out the decree. The aftermath of the Babel incident shows that Yahweh expected that council beings use their own free decision making capacity. In Deuteronomy 4:19–20 and 32:8–9, Yahweh divided and assigned the nations to lesser gods (Heiser, “Sons of God”). Yahweh delegated authority—He rejected the nations as His own people and took Israel as His portion. While Yahweh is ultimately sovereign, He does not unilaterally govern the other nations. He leaves that to subordinates, who should rule according to His will. When they don’t, they are judged. This is precisely the point of Psa 82, where Yahweh judges the gods of his council who are responsible for corrupt rule over the nations of the earth. Yahweh’s Will and Council Activity. Two examples of council deliberation in the book of Daniel make the council almost a part of Yahweh. Daniel 4 contains Nebuchadnezzar’s second dream. The announcement of Nebuchadnezzar’s punishment is described in Dan 4:17: “The sentence is by the decree of the Watchers, the decision by the word of the holy ones, to the end that the living may know that the Most High rules the kingdom of men and gives it to whom he will and sets over it the lowliest of men.” Seven verses later (Dan 4:24) the sentence is described thus: “This is the interpretation, O king: It is a decree of the Most High, which has come upon my lord the king.” This line is followed by the ambiguous plural of 4:26: שַׁלִּטִ֖ן שְׁמַָיּֽא (shallitin shemay'). This Aramaic phrase can be translated either “heaven rules” (corporate personification), or “the heavenly ones rule” (council authority). The second seems likely—the decree is from the Watchers—but it is the (singular) Most High who rules. 1. The judgment occurs after the council was in session. “The court shall sit in judgment and his dominion shall be taken away” (Dan 7:26). 2. In Daniel 2 the fourth kingdom is destroyed by the kingdom of God. 3. The kingdom of God in Daniel 7 is given by God to the Son of Man, who shares it with the “holy ones” of the Most High (Dan 7:25). These are probably not humans—humans are brought into joint kingship later: it “shall be given to the people of the holy ones of the Most High” (Dan 7:27). “Heavenly ones” is a term that refers to the divine council elsewhere (e.g., Psa 89:5–6; Job 15:15). The Saṭan. The saṭan (הַשָּׂטָן, hassatan) in Job 1–2 is not a proper name—it lacks the Hebrew definite article prefixed to the noun (Peggy Day, An Adversary in Heaven). This “Adversary” (the meaning of the Hebrew term) is therefore not the Devil, as known in the New Testament. Lowell Handy points out that the Adversary’s behavior in Job 1–2 is consistent with that of various deities in council scenes in Ugaritic material, where a lesser deity reports to a higher deity (Handy, “Authorization”). The Adversary is the deity responsible for checking on the misbehavior of humans. He is actually not talking back to God, but pointing out that humans behave well if they are not under duress. Yahweh decides to test the Adversary’s estimation, knowing full well that Job will endure. The presence of a divine council in the Hebrew Bible does not means that Israel’s religion was at one time polytheistic (there are many gods) or henotheistic (there are many gods, but one is preferred) and later evolved to monotheism. Both views presume that the gods were equal. Archaeological remains and passages in the Hebrew Bible show polytheism in Israel, but this was not orthodox Israelite belief. The biblical writers refer to Yahweh as “the God” (הָאֱלֹהִים, ha'elohim; 1 Kings 18:39)—He could not be compared with any others. While Yahweh was an אֱלֹהִים (elohim), He was unique among the אֱלֹהִים (elohim). The orthodox Israelite knew that only one deity was the pre-existent Creator of all things (Isa 45:18). His status as Creator prevented other אֱלֹהִים (elohim) from being equal. Yahweh was viewed as the Creator of the “host of heaven,” the other divine beings (Pss 33:6; 148:1–5; compare Neh 9:6; Job 38:7–8; 1 Kgs 22; Isa 14:13; Deut 4:19–20; 32:8–9, 43; with Deut 17:3; 29:25; 32:17). Translations which translate אֱלֹ֔הַ (eloah) as plural produce a reading that denies that שֵׁדִים (shedim, “demons”) are gods. Such translations, however, are forced to juxtapose this denial with the next clause, אֱלֹהִ֖ים לֹ֣א יְדָע֑וּם (elohim lo' yeda'um, “gods which they did not know”) which appears to clearly contradict that denial. How can the demons be gods and not gods in the same verse? Translations which take אֱלֹ֔הַ (eloah) as singular do not suffer this tension. There are in fact no occasions in the Hebrew Bible where אֱלוֹהַּ (eloha) is contextually plural or is used as a collective noun (Heiser, “Deuteronomy 32:17”). Denying the existence of gods in Deut 32:17 means denying the existence of these demonic entities. The אֱלֹהִים (elohim) of Yahweh’s council in Psa 82 are divine beings, not human rulers. This is obvious from the parallel passage in Psa 89:5–8. In Psalm 82:6, the plural אֱלֹהִים (elohim) are called “sons of the Most High.” These אֱלֹהִים (elohim) are not human since Psa 89:6 (Psa 89:7 in Hebrew) locates their assembly or council in the clouds or heavens (בַשַּׁחַק, vashshachaq) not on earth. With respect to 1 Samuel 28:13 (part of the “medium of Endor” narrative), the text tells us that, after being solicited by Saul to conjure the dead prophet Samuel, the medium exclaims, אֱלֹהִים רָאִיתִי עֹלִים מִן־הָאָרֶץ (elohim ra'ithiy olim min-ha'arets). The text could be translated two ways: “I saw gods coming up from the earth” or, “I saw a god coming up from the earth.” Both are possible since the plural participle form could reflect the plural morphology of אֱלֹהִים (elohim). Saul’s subsequent question helps us decide with a singular reading since he asks the medium in 28:14, “What is his (third masculine singular suffix) appearance?” The deceased Samuel who appears to Saul is an אֱלֹהִים (elohim). While this might seem strange to us, the notion that the departed dead were “gods” (אֱלֹהִים, elohim) is similar to ancient Canaanite thinking. The plural verb form of Gen 35:7 may be due to the fact that both Yahweh and the Angel who is the visible Yahweh appeared to Jacob as he fled. However, the other angels of God may also be included in the plural verb form. Angels as אֱלֹהִים (elohim) would agree with Canaanite culture and religion, and makes good sense in light of what the term אֱלֹהִים (elohim) really means. Defining the Term אֱלֹהִים (elohim). The fact that five different entities are called אֱלֹהִים (elohim) shows that the word does not refer to only one set of attributes. This is the mistake of modern interpreters and translators, who are accustomed to using the term “god” only when referencing the God of Israel and His attributes. The biblical writers would not equate Yahweh in a qualitative sense with demons, angels, the human disembodied dead, the gods of the nations, or the gods of Yahweh’s own council. “No Other Gods beside Me”? Common phrases in the Hebrew Bible which seem to deny the existence of other gods (e.g., Deut 4:35, 39; 32:12, 39) actually appear in passages that affirm the existence of other gods (Deut 4:19–20; 32:8–9, 17). These phrases show that Yahweh is incomparable among the other אֱלֹהִים (elohim), not that the biblical writers contradict each other or that they are in the process of discovering monotheism. Isaiah’s “denial statements” express incomparability, not non-existence of other gods (Isa 43:10–12). Similar language is used in Isa 47:8, 10. Babylon claims, “I am, and there is none else beside me.” The claim is not that Babylon is the only city in the world, but that it has no rival. A close reading of Deuteronomy and Isaiah shows the denial language’s context (Heiser, “Monotheism”). The denials are not based on any claim that other אֱלֹהִים (elohim) do not exist, but on Yahweh’s unique qualities. In Isaiah 43:10–12, the reference points are Yahweh’s pre-existence, ability to save, and national deliverance. In Isaiah 45, the focus is on Yahweh’s justice, salvation, the deliverance of His children, and the impotence of the other gods. Yahweh is being compared to lesser gods—it would be empty praise to compare Him to beings that did not exist. Human Beings as אֱלֹהִים (elohim)? The structure and terminology of Psa 82 shows that the psalm describes a council of divine beings (Mullen, Divine Council; Prinsloo, “Psalm 82”; Tsevat, “God and the Gods”; Kee, “The Heavenly Council”). The plural אֱלֹהִים (elohim) of Psa 82:1 are called “sons of the Most High” in 82:6. The orthodox Israelite knew that the Most High is Yahweh (Psa 83:18). The plural אֱלֹהִים (elohim) of the council are therefore “sons” of the God of Israel. Elsewhere the “sons of God” are obviously divine beings (e.g., Job 1:6; 2:1; 38:7–8). However, there is one passage, Hos 1:10, that uses a similar phrase of humans (“sons of the living God”), and Israelites on occasion were referred to as Yahweh’s “sons” (Exod 4:22–23). Psalm 82 and Psalm 89 in Tandem. Psalm 82’s council of plural אֱלֹהִים (elohim) would be ambiguous if it were the only example. Without context, it might seem to describe Yahweh presiding over a council or group of human judges. However, there is another passage that both uses the same language of divine plurality in a council and rules out that language with human beings. Psalm 89:5–7 places Yahweh’s council of אֱלֹהִים (elohim) “in the clouds.” This shows that these “sons of God” are not humans—no text in the entirety of the Hebrew Bible suggests that there are a group of human judges in the heavens ruling with Yahweh over the nations. Deuteronomy 32:17 identifies these אֱלֹהִ֣ים (elohim) (the hosts of heaven and sons of God) as demons—real beings (Heiser, “Deuteronomy 32:17”). These אֱלֹהִ֣ים (elohim) are not simply idols, pieces of wood and stone. Ancient Near Eastern idolaters knew that idols were not the actual deities they represent. While both the entity and the cult object might be called אֱלֹהִ֣ים (elohim), this does not mean that ancient people considered a human-made statue to be identical to the god it looked like. As Robins, a scholar of ancient cult objects notes: “When a non-physical being manifested in a statue, this anchored the being in a controlled location where living human beings could interact with it through ritual performance … In order for human beings to interact with deities and to persuade them to create, renew, and maintain the universe, these beings had to be brought down to earth.… This interaction had to be strictly controlled in order to avoid both the potential dangers of unrestricted divine power and the pollution of the divine man realm was brought about through their manifestation in a physical body, manifestation in one body did not in any sense restrict a deity, for the non-corporeal essence of a by the impurity of the human world. While the ability of deities to act in the visible, human realm was brought about through their manifestation in a physical body, manifestation in one body did not in any sense restrict a deity, for the non-corporeal essence of a deity was unlimited by time and space, and could manifest in all its ‘bodies,’ in all locations, all at one time” (Robins, “Cult Statues in Ancient Egypt,” 1–2). Human Elder-Judges of Israel and Plural אֱלֹהִ֣ים (elohim). There are passages that seem to use אֱלֹהִ֣ים (elohim) to mean the human elders of Israel acting as judges, but this is not the correct reading. If the אֱלֹהִים (elohim) and הָאֱלֹהִים (ha'elohim) in Exod 22:6–8 were human beings (the elder-judges of Israel), Psa 82 may be describing Israelite judges. The plural predicate in Exod 22:8 (יַרְשִׁיעֻן, yarshi'un) would seem to support this—if the passage speaks of Israel’s judges rendering decisions for the people. However, there are several problems with this use of the passage. First, these judges (if הָאֱלֹהִים, ha'elohim; and אֱלֹהִים, elohim; are plural and referring to people) give decisions for the nation of Israel—not the nations of the world as is the case in Psa 82 and Deut 32. Also, אֱלֹהִים (elohim) and הָאֱלֹהִים (ha'elohim) in Exod 22:8 might be singular, and might not refer to human beings. There is nothing in Exodus 18 to suggest that אֱלֹהִים (elohim) or הָאֱלֹהִים (ha'elohim) are plural—these refer to the singular God of Israel. The same is true of Exodus 22. A singular translation referring to God Himself is the correct reading. Without evidence for a plural translation, the אֱלֹהִים (elohim) cannot be assumed to be the elders of Israel. Also, the men appointed by Moses in Exod 18 are never actually called אֱלֹהִים (elohim) or הָאֱלֹהִים (ha'elohim) in the text. This account of the appointment of judges, then, does not support the אֱלֹהִים (elohim) in Psa 82 being humans. It is possible that the master is commanded to bring the slave before the elder-judges of Israel (הָאֱלֹהִים, ha'elohim) before pierce his ear. However, this unlikely. First, הָאֱלֹהִים (ha'elohim) can be singular, referring to the God of Israel—as in Exod 18 and Exod 22. The promise about the status of the slave is being made in truth before God. However, there is evidence that the redactor-scribes responsible for the final form of the text did not interpret הָאֱלֹהִים (ha'elohim) as singular—and also did not interpret a plurality as referring to human beings. The parallel passage in Deut 15 shows that redactors saw הָאֱלֹהִים (ha'elohim) as semantically plural: the parallel in Deut 15:17 removes the word הָאֱלֹהִים (ha'elohim) from the instruction. If this were thought to mean the God of Israel, the redactors would not have removed it from the text. Again, if הָאֱלֹהִים (ha'elohim) had been understood as plural humans, Israel’s judges, they would not have removed it. If הָאֱלֹהִים (ha'elohim) were intended as a semantically plural word that referred to gods, then the reason for deleting was theological (Gordon, “אלהים, 'lhym; in Its Reputed Meaning of Rulers”). Gordon argued that הָאֱלֹהִים (ha'elohim) in Exod 21:6 referred to “household gods” like the teraphim of other passages. Bringing a slave into one’s home in patriarchal culture required the consent and approval of one’s ancestors—departed human dead, אֱלֹהִים (elohim)—as in 1 Sam 28:13. This phrase was later removed after Israel’s struggle with idolatry. Only a plural referring to multiple divine beings can coherently explain the deletion. As a result, this passage also does not support the plural human אֱלֹהִים (elohim) view. There is also a connection between the divine council and the office of prophet (1 Kings 22). A prophet or prophetess was a spokesperson for Yahweh. They were commissioned in an encounter with the divine: the prophet appeared in the divine throne room, where the council met and decrees were issued (Kingsbury, “Prophets and the Council of Yahweh”; Nissinen, “Prophets and the Divine Council”). Isaiah was taken to the throne-room of Yahweh (Isa 6:1–8), and the throne of the Lord came to Ezekiel (Ezek 1:1–14, 26–28). Jeremiah was called by the word of the Lord (Jer 1:4). This word was Yahweh (Jer 1:6–7), but was embodied in human form (Jer 1:9). Yahweh refers to this call when He said of the false prophets, “If they had stood in my council, then they would have proclaimed my words to my people, and they would have turned them from their evil way, and from the evil of their deeds” (Jer 23:16, 22). • Enoch “prophesied” (Jude 14; 15) and “walked with God” (Gen 5:24). • Noah also “walked with God” (Gen 6:9). He was a “herald of righteousness” (2 Pet 2:5), and warned his fellow men of the coming judgment of the flood (1 Pet. 3:20). • The glory of Lord “appeared” to Abraham before he journeyed to Haran (Acts 7:2–4; Gen 15:1). • Yahweh appeared to Isaac (Gen 26:1–5) and Jacob (Gen 28:10–22; 31:11–13; 32:22–32; see Hos 12:3–4). The patriarchs were Yahweh’s spokesmen, through whom the world would be blessed (Gen 12:1–3). • He commissioned Moses at the burning bush (Exod 3:1–15) and many subsequent occasions (e.g., 19:16–20:21; 24:9–18; 33:7–11). • Yahweh also directly commissioned the elders of Israel under Moses (Num 11:24–25). • He also commissioned Joshua (Deut 31:14–23; Josh 5:13–15). • Gideon met both Yahweh and the angel who was Yahweh—simultaneously (Judges 6). • Deborah received messages from Yahweh under “the Palm of Deborah” (Judg 4:4–5). • The word of the Lord “appeared” to Samuel to inform him of Eli’s fate (1 Sam 3:20–21). The prophets sometimes refer to the divine council when they declare eschatological holy war (Miller, “Call to War”). The divine council (along with human warriors) forms a cosmic army on the day of the Lord (Isa 13:1–8; Joel 3:11–12; Zech 14:1–5). This language draws upon other material in the Hebrew Bible that describes the divine council as an army (Deut 33:1–5; Psa 68:16–17; 2 Kgs 6:15–17). This is also the context for the common title for Israel’s God, “Lord of hosts”—“host” is a word used frequently in the Hebrew Bible for a military force (e.g., 2 Sam 3:23; Psa 108:12). The divine council is the army of God, but also witnesses God’s decrees and acts. This idea is common outside the Hebrew Bible in other descriptions of divine councils (Bokovy, “Invoking the Council as Witnesses”). God often commands an unidentified group in a context that rules out a human audience (Cross, “The Council of Yahweh”). “Comfort, comfort my people, says your God” (Isa 40:1–2). The two imperatives “comfort” are grammatically plural in Hebrew, as are the ensuing commands “Speak tenderly to Jerusalem and cry to her” (Isa 40:3). These commands are not directed at Jerusalem or Israel, for they are the objects of the commands—they may be directed at the divine council (Cross, “The Council of Yahweh”). Amos 3 describes the Lord’s intention to punish Israel. In Amos 3:7, we read that “the Lord God does nothing without revealing his council (סוֹד, sod) to the prophets.” Plural imperatives follow: “Proclaim to the strongholds … and say” and “Hear and testify against the house of Jacob, declares the Lord God, the God of hosts” (Amos 3:10; 3:13). Again, Israel and Judah are not the recipient of the commands—the divine council may be called upon to witness the judgment of the Lord (Bokovy, “Invoking the Council as Witnesses”). A number of Jewish writers ca. 516 bc—ad 70 offered opinions as to the identity of the “second Yahweh,” the second power in heaven (Mach, “Concepts of Jewish Monotheism”; Hurtado, “How on Earth”; McGrath, The Only True God; Fossum, “Name”). These Jewish writers suggested significant men from the Old Testament—such as Adam, Enoch, Abraham, and Moses—and specific angels—Gabriel, Michael, and the “Prince of the Host” from Daniel 10. Some did not attempt to further identify the angel of Yahweh (Gieschen, Angelomorphic Christology; Hannah, Michael and Christ; Stuckenbruck, “Angel”). For Christians, the second Yahweh was Jesus. It is for this reason that the New Testament describes Jesus with all the descriptions of Yahweh’s co-regent: the name (which Jesus manifests by his presence: John 17:6, 11–12, 26), the word (John 1:1), the cloud-rider (Matt 26:64), wisdom (1 Cor 1:24), and the angel of Yahweh (Jude 5; Num 14:29; Fossum, “Name”; Fossum, “Image”; Segal, “Two Powers”; Boyarin, “Memra”). Jesus is the “only begotten” Son of God—but “only begotten” is a confusing translation. The Greek word is μονογενής (monogenēs). Not only does the translation “only begotten” seem to contradict the obvious statements in the Old Testament about other sons of God, it sounds as though there was a time when the Son did not exist—that He had a beginning. The Council of Nicaea in 425 taught that the Son had always existed, but the idea of the uncreated, eternal Son had been understood since the beginning of the Church—it was believed to be the teaching of the New Testament. The Greek word μονογενής (monogenēs) doesn’t actually mean “only begotten.” It presents a problem neither with respect to Jesus having a beginning, nor with respect to divine “sons of God” who are called gods (אֱלֹהִים, elohim) in the Old Testament. The confusion extends from a misunderstanding of the root of the Greek word. For many years, μονογενής (monogenēs) was thought to have derived from two Greek terms, μόνος (monos, “only”) and γεννάω (gennaō, “to beget, bear”). Scholars of Greek eventually discovered, though, that the second part of the word μονογενής (monogenēs) does not come from the Greek verb γεννάω (gennaō), but rather the noun γένος (genos, “class, kind”). The term literally means “one of a kind” or “unique” with no connotation to time, origin or solitary existence. The validity of this understanding is shown by the New Testament itself. In Hebrews 11:17, Isaac is called Abraham’s μονογενής (monogenēs)—but Isaac was not the only son Abraham fathered, since he fathered Ishmael prior to Isaac. The term must mean that Isaac was Abraham’s unique son—the son of the covenant promises and the line through which the messiah would come. Just as Yahweh is an אֱלֹהִים (elohim), and no other אֱלֹהִים (elohim) are Yahweh, so Jesus is the unique son, and no other sons of God are like Him. • Jesus’ asserted that He and the Father were one (Jn 10:30). • The Jews thought this was blasphemy—Jesus was claiming to be God (Jn 10:33). • In defense of His claim that He was one with God, Jesus quoted Psa 82:6. • Following the quotation, He states that the Father is in Him, and He was in the Father. 1. Judaeo-Christian monotheism could not have other אֱלֹהִים (elohim). 2. “To whom the word of God came” refers to the Jews who received the law at Sinai (i.e. the Pharisees’ forefathers). The speaker (“I”) in the passage is the God of Israel, the God who is standing in the council in 82:1 among the lesser אֱלֹהִים (elohim). God announces that the אֱלֹהִים (elohim) of the council are His sons, but because of their corruption (Psa 82:2–5), they will lose their immortality. The “word of God” in the original context is the specific utterance of Yahweh to His council members. They, in turn, are the recipients of that word (utterance). The recipients are not the Israelites at Sinai or any other group of Jews. Jesus refers to the original utterance spoken by God when He quoted the psalm, not the Jewish nation receiving revelation, at Sinai or at any other time. Jesus is defending his statement to be one with the Father by reminding his hearers that their Old Testament teaches that there were divine sons of God who were אֱלֹהִים (elohim). The Jews are not אֱלֹהִים (elohim), and Jesus reminds them that their Scriptures say there are other אֱלֹהִים (elohim) who are divine sons. In John 10:36–38, Jesus asserts that his high status as the Son is based on Him doing the works of His Father: the Father is “in him.” This phrase parallels Exod 23:20–21, where the Name—Yahweh’s Presence—was in the angel of Yahweh. In John 10:36–38, Jesus claims that the Presence is in Him. He is claiming to be the second power, or second Yahweh, which would in turn mean He was Lord of the divine council with the invisible Yahweh (the Father). Thus, Jesus’ claim of oneness with the Father is developed by the quotation and by what follows. The result is a powerful claim to deity, consistent with the rest of the gospel of John. Ackerman, James S. “The Rabbinic Interpretation of Psalm 82 and the Gospel of John.” Harvard Theological Review 59:2 (1966): 186–191. Boyarin, Daniel. “The Gospel of the Memra: Jewish Binitarianism and the Prologue to John.” Harvard Theological Review 94:3 (2001): 243–284. Boyarin, Daniel. “Two Powers in Heaven; Or, the Making of a Heresy,” Pages 331–370 in The Idea of Biblical Interpretation: Essays in Honor of James L. Kugel. Edited by Hindy Najman and Judith H. Newman. Leiden: Brill, 2004. Burnett, Joel. A Reassessment of Biblical Elohim. Atlanta: Society of Biblical Literature, 2001. Cho, Sang Youl. Lesser Deities in the Ugaritic Texts and the Hebrew Bible. New Jersey: Gorgias Press, 2007. Clifford, Richard J. The Cosmic Mountain in Canaan and the Old Testament. Harvard Semitic Mongraphs 4. Cambridge: Harvard University Press, 1972. Cooke, Gerald. “The Sons of (the) God(s),” Zeitschrift für die Alttestamentliche Wissenschaft 76 (1964): 22–47. Cross, Frank Moore. “Canaanite Myth and Hebrew Epic.” Harvard, 1973. Davis, Carl Judson. The Name and Way of the Lord: Old Testament Themes, New Testament Christology. Journal for the Study of the New Testament Supplemental Series 129. Continuum/Sheffield Academic Press, 1996. Day, John. Yahweh and the Gods and Goddesses of Canaan. Journal for the Study of the Old Testament Supplemental Series 265. Sheffield: Sheffield Academic Press, 1994. Day, Peggy. An Adversary in Heaven: śaṭan in the Hebrew Bible. Harvard Semitic Monographs 43: Cambridge: Harvard University Press, 1988. Dever, William G. Did God Have a Wife? Archaeology and Folk Religion in Ancient Israel. Grand Rapids: Eerdmans, 2005. Fossum, Jarl E. “In the Beginning was the Name: Onomanology as the Key to Johannine Christology,” Pages 109–134 in The Image of the Invisible God: Essays on the Influence of Jewish Mysticism on Early Christianity. Göttingen: Vandenhoeck & Ruprecht, 1995. Fossum, Jarl E. The Name of God and the Angel of the Lord: Samaritan and Jewish Concepts of Intermediation and the Origin of Gnosticism. Tübingen: Mohr-Siebeck, 1985. Gieschen, Charles A. Angelomorphic Christology: Antecedents and Early Evidence. Leiden: Brill, 1998. Gordon, Cyrus H. “אלהים ('lhym) in Its Reputed Meaning of Rulers, Judges,” Journal of Biblical Literature 54 (1935): 139–44. Hamori, Esther J. “When Gods Were Men”: The Embodied God in Biblical and Near Eastern Literature. Berlin: Walter DeGruyter, 2008. Hamori, Esther J. “Divine Embodiment in the Hebrew Bible and Some Implications for Jewish and Christian Incarnational Theologies,” Pages 161–183 in Bodies, Embodiment, and Theology of the Hebrew Bible, ed. S. Tamar Kamionkowski and Wonil Kim. Library of the Hebrew Bible Old Testament Series 465. Continuum/T&T Clark, 2010. Hannah, Darrell D. Michael and Christ: Michael Traditions and Angel Christology in Early Christianity. Wissenschaftliche Untersuchungen zum Neuen Testament 109. Tubingen: Mohr-Siebeck, 1999. Handy, Lowell K. Among the Host of Heaven: The Syro-Palestinian Pantheon as Bureaucracy. Winona Lake, Ind. : Eisenbrauns, 1994. Hartley, John E. The Book of Job. New International Critical Commentary of the Old Testament; Grand Rapids; Eerdmans, 1988. Heiser, Michael S. “Deuteronomy 32:8 and the Sons of God,” Bibliotheca Sacra 158 (2001): 52–74. Heiser, Michael S. “The Divine Council in Second Temple Literature,” Ph.D. diss., University of Wisconsin-Madison, 2004. Heiser, Michael S. “Divine Council,” Dictionary of the Old Testament: Wisdom, Poetry, and Writings. Downers Grove, Ill.: InterVarsity Press, 2008: 112–116. Heiser, Michael S. “Divine Council,” Dictionary of the Old Testament: Prophets. Downers Grove, Ill.: InterVarsity Press, 2011, forthcoming. Heiser, Michael S. “Monotheism, Polytheism, Monolatry, or Henotheism? Toward an Assessment of Divine Plurality in the Hebrew Bible” Bulletin for Biblical Research 18:1 (2008): 1–30. Heiser, Michael S. “Does Deuteronomy 32:17 Assume or Deny the Reality of Other Gods?” Bible Translator 59:3 (July 2008): 137–145. Herrmann, W. “Rider Upon the Clouds,” Dictionary of Deities and Demons in the Bible. Grand Rapids: Eerdmans, 1999: 703–704. Hess, Richard S. “Yahweh and his Asherah? Epigraphic Evidence for Religious Pluralism in Old Testament Times,” in One God, One Lord in a World of Religious Pluralism, ed. A.D. Clarke and B.W. Winter. Cambridge: Tyndale House, 1991) 5–33. Huffmon, H. B. “Name.” Pages 610–611 in Dictionary of Deities and Demons in the Bible. Grand Rapids: Eerdmans, 1999. Hurtado, Larry W. One God, One Lord: Early Christian Devotion and Ancient Jewish Monotheism. Continuum/T&T Clark, 1988. Hurtado, Larry W. One God, One Lord: Early Christian Devotion and Ancient Jewish Monotheism. Philadelphia: Fortress, 1988. Hurtado, Larry W. “The Binitarian Shape of Early Christian Worship,” Pages 187–213 in The Jewish Roots of Christological Monotheism, Papers from the St. Andrews Conference on the Historical Origins of the Worship of Jesus, ed. Carey C. Newman, James R. Davila and Gladys S. Lewis. SupJSJ 63; Leiden: Brill, 1999. Hurtado, Larry W. Lord Jesus Christ: Devotion to Jesus in Earliest Christianity. Grand Rapids: Eerdmans, 2003. Hurtado, Larry W. How on Earth Did Jesus Become a God? Historical Questions about Earliest Jesus Devotion. Grand Rapids: Eerdmans, 2005. Korpel, Marjo C. A. A Rift in the Clouds: Ugaritic and Hebrew Descriptions of the Divine. Münster: Ugarit-Verlag, 1990. MacDonald, Nathan. “Deuteronomy and the Meaning of Monotheism“. Future American Theologians 2. Reihe 1: Mohr-Siebeck, 2003. Mach, Michael “Concepts of Jewish Monotheism during the Hellenistic Period,” Pages 21–42 in The Jewish Roots of Christological Monotheism, Papers from the St. Andrews Conference on the Historical Origins of the Worship of Jesus. Edited by Carey C. Newman, James R. Davila and Gladys S. Lewis. SupJSJ 63; Leiden: Brill, 1999. McGrath, James F. The Only True God: Early Christian Monotheism in Its Jewish Context. University of Illinois Press, 2009. Mettinger, Tryggve N. D. “The Dethronement of Sabaoth: Studies in the Shem and Kabod Theologies“. Coniectanea Biblia Old Testament Series 18. CWK Leerup, 1982. Miller, Patrick D. “The Divine Council and the Prophetic Call to War,” Vetus Testamentum 18 (1968): 100–107. Miller, Patrick D. “Cosmology and World Order in the Old Testament and the Divine Council as Cosmic-Political Symbol,” Pages 422–445 in Israelite Religion and Biblical Theology: Collected Essays. Continuum. Sheffield Academic Press, 2000. Mullen, E. Theodore Jr. The Divine Council in Canaanite and Early Hebrew Literature. Harvard Semitic Monographs 24; Chico, Calif.: Scholars Press, 1980. Nissinen, Martii “Prophets and the Divine Council,” in Kein Land für sich allein: Studien zum Kulturkontakt in Kanaan, Israel/Palästina und Ebirnari für Manfred Weippert zum 65. Geburstag, edited by U. Hübner und E. A. Knauf. OBO 186; Göttingen: Vandenhoeck & Rupprecht, 2002), 4–19. Parker, Simon B. “Sons of (the) God(s),” Dictionary of Deities and Demons in the Bible. Grand Rapids: Eerdmans, 1999): 794–798. Prinsloo, W. S. “Psalm 82: Once Again, Gods or Men?” Bibliotheca Sacra 76:2 (1995): 219–228. Ringgren, Helmer. Word and Wisdom. Studies in the Hypostatization of Divine Qualities and Functions in the Ancient Near East. Lund 1947. Robins, Gay “Cult Statues in Ancient Egypt,” in Cult Image and Divine Representation in the Ancient Near East. American Schools of Oriental Research Book Series 10; ed. Neal H. Walls; Boston: American Schools of Oriental Research, 2005. Segal, Alan F. Two Powers in Heaven: Early Rabbinic Reports about Christianity and Gnosticism. Leiden: Brill, 1977. Segal, Alan F. “ ‘Two Powers in Heaven’ and Early Christian Trinitarian Thinking,” Pages 73–98 in The Trinity. Edited by Stephen T. Davis, Daniel Kendall, Gerald O’Collins. Oxford: Oxford University Press, 2004. Smith, Mark S. The Origins of Biblical Monotheism: Israel’s Polytheistic Background and the Ugaritic Texts. New York: Oxford University Press, 2001. Smith, Mark S. The Early History of God: Yahweh and Other Deities in Ancient Israel. 2nd ed. ; Grand Rapids: Eerdmans, 2002. Smith, Mark S. God in Translation: Deities in Cross-Cultural Discourse in the Biblical World. Grand Rapids: Eerdmans, 2010. Sommer, Benjamin D. The Bodies of God and the World of Ancient Israel. Cambridge, 2009. Stuckenbruck, Loren T. Angel Veneration and Christology: A Study in Early Judaism and in the Christology of the Apocalypse of John. WUNT 70, 2 Reihe; Tübingen: Mohr-Siebeck, 1995. Stuckenbruck, Loren T. and North, Wendy E. S. (eds). Early Jewish and Christian Monotheism. Continuum/T&T Clark, 2004. Tsevat, Matitiahu. “God and the Gods in Assembly,” Hebrew Union College Annual 40–41 (1969–1970): 123–137 Series 495; Continuum/T&T Clark, 2008. Wyatt, Nicholas. “The Titles of the Ugaritic Storm God,” Ugarit Forschungen 24 (1992): 403–424. Heiser, M. S. (2012, 2013, 2014, 2015). Divine Council. In J. D. Barry, D. Bomar, D. R. Brown, R. Klippenstein, D. Mangum, C. Sinclair Wolcott, … W. Widder (Eds. 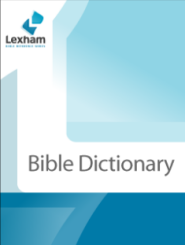 ), The Lexham Bible Dictionary. Bellingham, WA: Lexham Press. God stands up in the divine counsel; in the midst of the gods he judges. I said, "You are gods, sons of the Most High, all of you. Yet you shall die like a man, and fall like one of the princes." A third view accounts for the term "gods" and the reference to morality by including the spirit world in judgment. Accordingly, the human judges, who cannot be excluded from the interpretation of the psalm, are agents of supernatural beings who were assigned to different regions to ensure that justice would prevail (1 Kings 22:19-22; Job 1:6-12; 2:1-6; Dan 7:9-1-, 10:13, 20-21). The psalm may be set against the background of the religions of the ancient world, divine assemblies of lower gods who met to determine the course of worldly events. The psalmist would not have accepted the idea that they were viable gods, but rather that they were supernatural beings, or angels, who formed a heavenly court (meaning an assembly of supernatural beings appearing before God to receive their orders; see Job 1 and 2, in which assembly even Satan was present). These angelic beings were given the responsibility of overseeing the proper functioning of human society (see Deut. 32:8-9).2 However, many of them failed to comply with the divine commission and became the forces of evil of these nations represented by their gods (e.g. Ezek. 28:11-19; and Daniel 10). Their will was administered by human agents; they were responsible for the people they put in place and used. Because their failure to administer justice, they would receive an ungodlike punishment--death. 2. Not only do these verses (Deut. 32:8-9) in the Dead See Scrolls agree with the reading, "sons of God", but in the Greek version they agree as well: "When the Most High divided the nations, when he separated the sons of Adam, he set the bounds of the nations according to the number of the angels of God; and his people Jacob became the portion of the Lord, Israel was the line of his inheritance." 3. 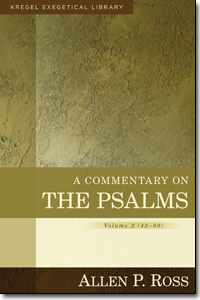 Allen P. Ross, A Commentary on The Psalms, Vol. 2 (Grand Rapids, MI: Kregel Publications, 2013) pp. 715-6, 718-9. In After Virtue Alasdair MacIntyre describes three indispensable characters of modern society: the aesthete, the manager, and the therapist.2 We all know them well (especially those of us who have or are leaders in the American Church): lampooned in the black humor of The Simpsons, South Park, and Dilbert, these types are ubiquitous and socially indispensable. As characters, they fuse a psychological profile and a social role into one powerful unity that embodies their culture. McIntyre locates these three modern characters within an underlying philosophical culture of emotivism, which reduces moral judgments to the expressions of personal preferences.3 (In the words of Mormon philosopher Napoleon Dynamite, "Just follow your heart. That's what I do.") Emotivism flourishes among the social classes, institutions, and professions whose purposes it serves most naturally and organically.4 These groups benefit from emotivists reduction of ethics to self-expression. Emotivism is a twentieth-century British invention,5 and MacIntyre's characters are also of course the principal authorities in Dalrymple's6 world. They spread its moral ideology among all who entrust themselves to them, catechizing both their cultures' natives and its new arrivals in the dogma that moral truth boils down to authentic self-expression. Emotivism is immensely advantageous for powerful classes, institutions, and professions. It goes beyond even the divine right of kings in absolutizing their authority. Cultivated taste, proven effectiveness, and earned credentials are their own justification. 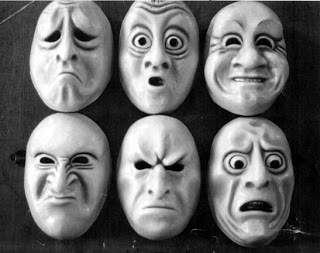 However, emotivism pressures the powerless into the role of a very different character: the victim. The moral choices of a victim are radically constrained by the choices of the powerful. It is tempting to consider the victim a fourth character in emotivist culture. After all, what would aesthetes be without vulgar masses, managers without worker-drones, and therapists without patients? The greatest comfort to emotivism's elites, the absolute sovereignty of the emotivist self, is the sorest spot for emotivism's victims. You see, if victims are moral agents too, then at least some of their failures should reflect the choices they have made. This is the condition Dalrymple's patients and inmates cannot bring themselves to face. They plead with Dalrymple that they fail because they are too easily led, or feel in with the wrong crowd, or took drugs because they were widely available. They refuse to take the blame for their mistakes. They grasp Dalrymple's point because they too are players in an emotivist drama. Like yin and yang, a common moral axiom creates emotivism's winners and losers in one stroke and pits them against each other. Each group's existence drives the other to hypocrisy. Elites must pay lip services to the determinism that comforts victims, but they dare not direct it at themselves. Victims can acknowledge the moral agency they share with their successful neighbors and superiors, but they prefer to shift blame to structures both personal and impersonal. Put simply, both sides live a lie. 6. Theodore Dalrymple (the pen name of Anthony Daniels) is a prison doctor in the U.K. and an essayist for the conservative quarterly City Journal.